Equity benchmark indices opened on a flat note on Wednesday amid weak global cues. On the sectoral front, Nifty media and metal indices are under selling pressure, while realty, banking, FMCG, and IT indices were trading up. The Sensex rose 89 points to 37,624 levels, while the Nifty was up 19 points to 11,320 levels. 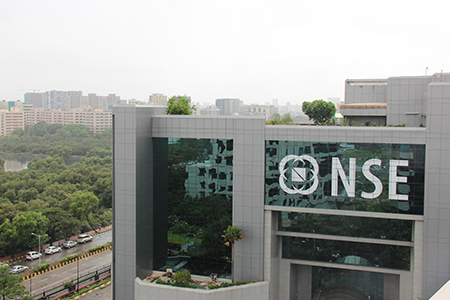 The market breadth was neutral with 830 shares advancing, 733 shares declining, and 499 remaining unchanged on the BSE. On the broader market front, the BSE MidCap index was trading at 26 points lower at 15,662, while the BSE SmallCap index was ruling at 14,927, up 6.62 points. Shares of Jet Airways and SpiceJet dropped over 3% after Directorate General of Civil Aviation grounded the Boeing 737 Max aircraft with immediate effect, after the deadly Ethiopian Airlines plane crash. Shares of Kotak Mahindra Bank slipped 1% after the Bombay HC refused the lender's plea to provide interim relief. Volatility index India VIX was up 3.07% at 15.56. HCL Tech, IndusInd Bank, Dr.Reddy’s, and Eicher are trading higher, while IOC, ONGC, Coal India, and Zee are trading lower on the NSE. The most active stocks on NSE are Reliance Industries, HDFC Life, HDFC Bank, IndusInd Bank, and Bajaj Consumer. Meanwhile, the Indian rupee extended its gains for the third consecutive session on Wednesday. The domestic unit gained by 6 paise to 69.65/$ in the early trade, led by sustained buying by overseas investors.